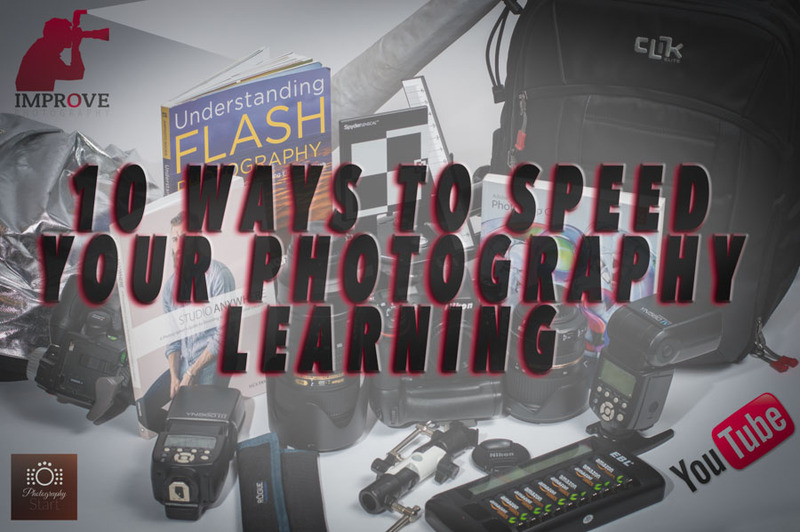 10 Ways To Speed Your Photography Learning! Jump Start Your Self Paced Learning with these tips! Learning modern digital photography can seem like a daunting task to the new camera owner or those who have become interested in diving into the world of photography. There is so much material to learn and explore! It can be very overwhelming initially to even those with good technology skills and those who “have a good eye.” There is an almost endless amount of information available to us online in various forms. YouTube, Podcasts, online articles, photography Schools, etc. The biggest issue for many people is really this simple: WHERE DO I BEGIN? The following list will get your photography to improve faster than you really thought possible. I am pretty confident in this fact because after only 4 months of using my first DSLR, I was able to win a photo contest online with over 1,500 entries! Now this isn’t to boast (well maybe a little) but to let you know that it is very possible to create photographic images that will have you wanting to hang them on your wall at home or office and also to have others wanting to purchase your work – people that don’t even know you! This one step is of utmost importance. So many people will start learning only to have to go back and relearn what they forgot at the start because they weren’t organized in how they were learning. Where do I start? Where do I focus my energy? What should I learn first? These are all questions I know I had when I first decided to get into photography in a serious way. The amount of information available is immense but unless it is learned in an organized way, many of the concepts and ideas that you will learn just won’t make sense at first or you may forget them. It is best to start out learning the basics which may seem like common sense but all too often people jump around and it leads to confusion and a much slower learning curve. ImprovePhotography.com is really a great place to start and it isn’t just because I am writing this article for the site. I looked around all over the place and found that the community and network Jim Harmer has built is second to none. There is an enormous amount of information on the site and he will teach you where to begin in the “Photography Start” video course – A HIGHLY recommended place to start out. The ImprovePhotography network has several great and friendly photographers willing to help you learn the ropes. 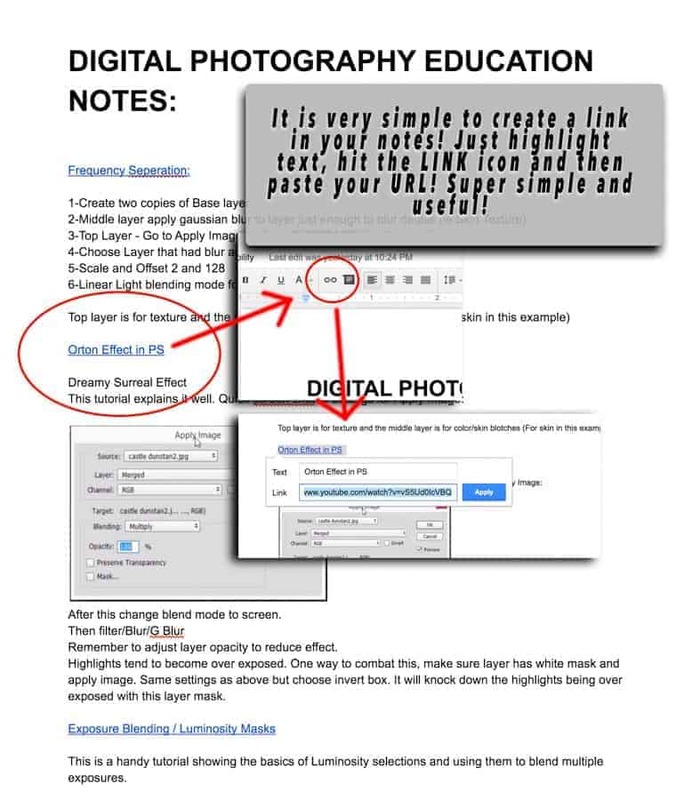 Create a Google Docs document called “Digital Photography Education” for example. (See Image). You could use virtually any word processing software for this. I suggest Google Docs because it is a cross platform, multi device system and the ability to paste URL (Links) in the document makes it super handy. With active links available, as you look over your notes you are able to easily jump to various websites with videos, articles, etc. It is very cool! You really have to try this. I promise you will love it and you'll be extremely organized. Once you create this document, type in the various topics you are learning along the way or would like to know more of. If you are watching a video, for instance, copy the URL down and go to the create link button in google docs. It is the little icon that looks like a link! (Simple right?) Then put a headline and paste that link into the dialog box that shows up. 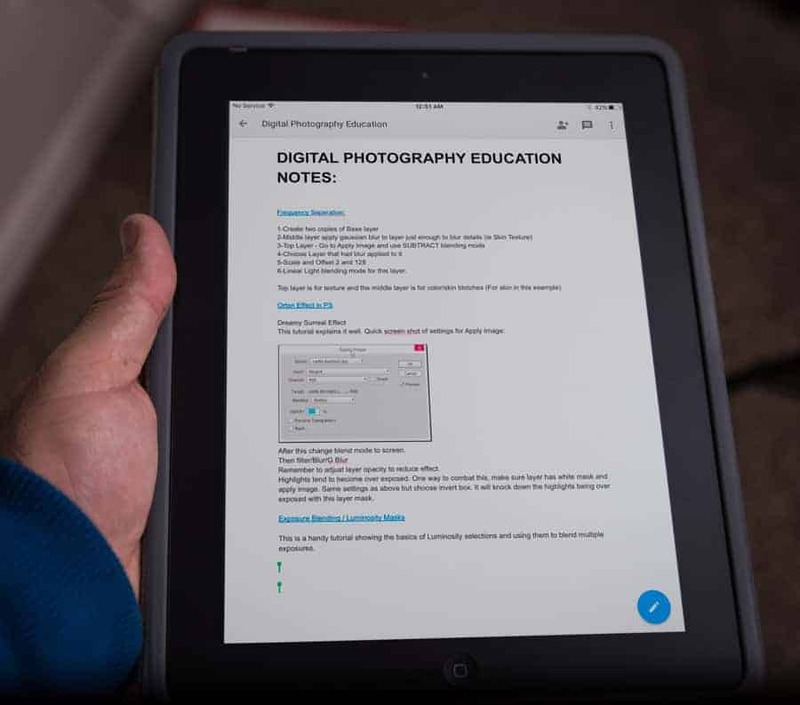 Under the title, you can put down notes, screen captures, ANYTHING that you may think is important on that topic that will help YOU remember and learn the information. Taking Notes using google docs is a great way to stay organized and at the same time offers dynamic notes with links to the information with your notes down below! View or edit your notes at anytime from anywhere! It is a very flexible note taking system! This will give you a FANTASTIC note taking system that you can take with you anywhere you go using the Google Docs apps. So whether you are on your computer at home or on your phone/tablet on the go, you can access these notes on any device and any platform. This isn’t only good for photography of course. You can utilize this digital notebook for anything – Recipes, DIY projects, etc. I have found this to be an amazing modern note taking system that is simply awesome! Try it! You will LOVE IT! This is a more traditional approach but one I also use. Nothing is quite like taking real, written notes when it comes to learning new material. I would suggest getting a 3 ring binder and divide up different sections on the various aspects dealing with digital photography (Lighting, Lenses, Gear, Photoshop, Lightroom, Etc). Trust me – YOU WILL NOT remember everything you learn at first. Jot down little notes on various topics that don’t initially stick with you. The basics of exposure, for instance, has got to become second nature to you since everything in photography builds off the “Exposure Triangle.” After getting this set firmly in your mind, you’re on your way. Once you have a good learning system in place to start, it becomes much more manageable as you continue your self paced education. 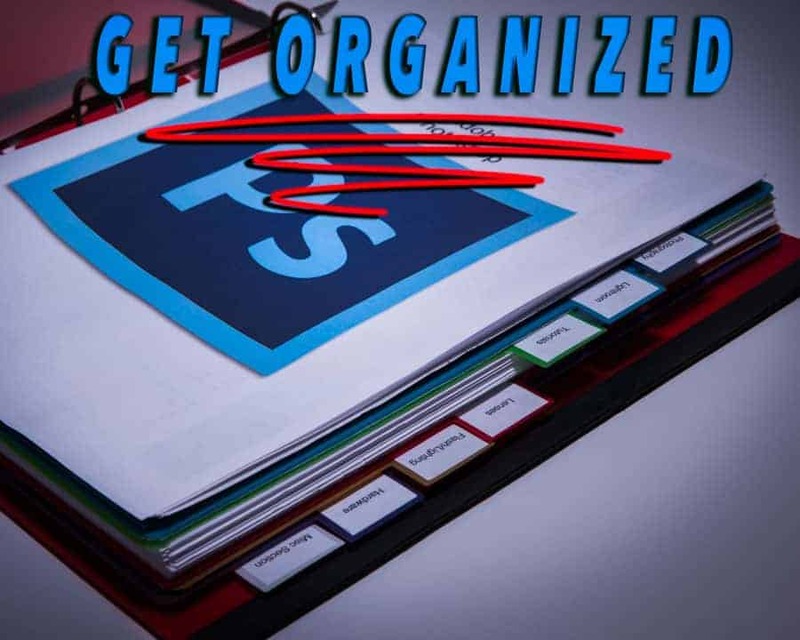 A 3 ring binder can help you keep everything organized from reciepts to shortcut cheat sheets. This is a real challenge today with thousands of YouTube videos, blogs, podcasts, etc – ALL dealing with digital Photography. Where do I go? Who do I trust is really trying to help or just make a quick buck? 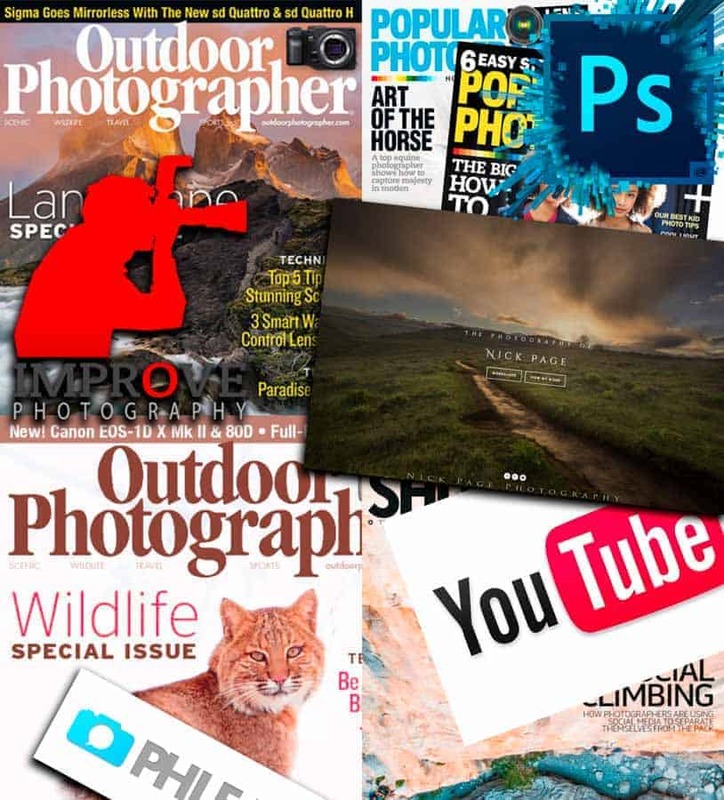 You have come to the right place if you are reading this article because the ImprovePhotography network will get you going in the right direction and also keep you informed with all the latest and greatest in Photography News via their many articles and podcasts that are put out very rapidly. At the time of this writing, ImprovePhotographyPlus.com has just been announced and made available online. It's a site that makes all of Jim Harmer's hundreds of Lightroom Presets and hundreds more video tutorials available all in one spot. It's $19.95 a month normally, but there is a free two-week trial so you really have nothing to lose and hundreds of presets and video tutorials to gain by checking it out. This is a tremendous place to learn many new things to help jump start your photography education. Photography Start (available in Improve Photography Plus) is an extremely well done video series on getting you going with the basics of photography in many of the key areas. A good foundation to start with is most critical as you set out on your photographic educational journey. Photography Start – What better place to start your photography learning? I started a little more than a year ago. I knew nothing. Jim and Co will get you headed down the right path. Google will become your best friend in this new world of Photography. Typing in almost any question you can think of will get you hundreds of responses. 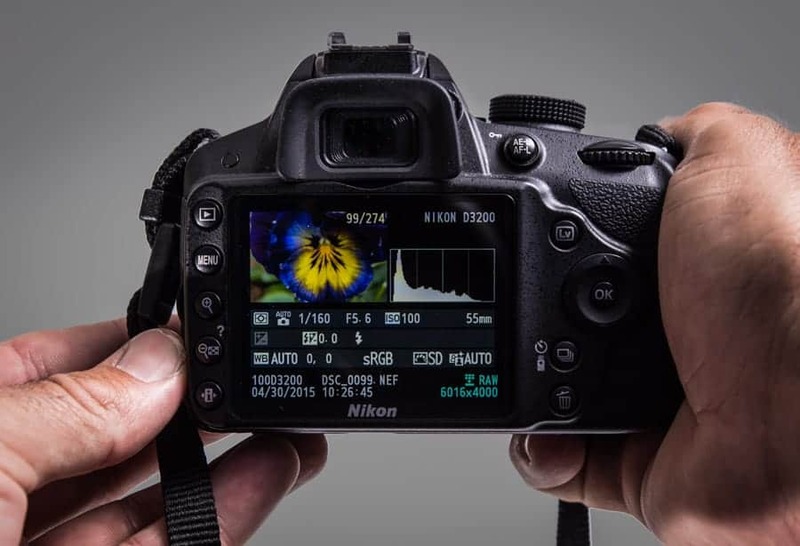 “What is white balance?” Will bring tons of articles, videos, tips, tricks – you name it. It is also good practice to become involved with social media groups such as Photography groups on Facebook. There is a whole community of people who are wanting to make better images. Most are willing to help. Just make sure to ignore the many trolls out there. They will do nothing positive! One of the most incredible things that I have realized since becoming involved with photography is how willing to help PRO photographers are if you show a true interest and have passion for what you are doing. Many will ignore you but if they see you are very motivated to learn, they will actually respond and give you tremendous help! Nick Page – Thank you sir! (One of the great photographers/teachers on the IP Network). Don’t be afraid to spend money on good quality education. This does not mean you need to go to Photography school (In person or online). Every subject in photography is covered online in one place or another. I have found that the paid content is much more professionally done, organized in chronological order as your learning progresses and just flat out MUCH better than the many YouTube videos that are out there. 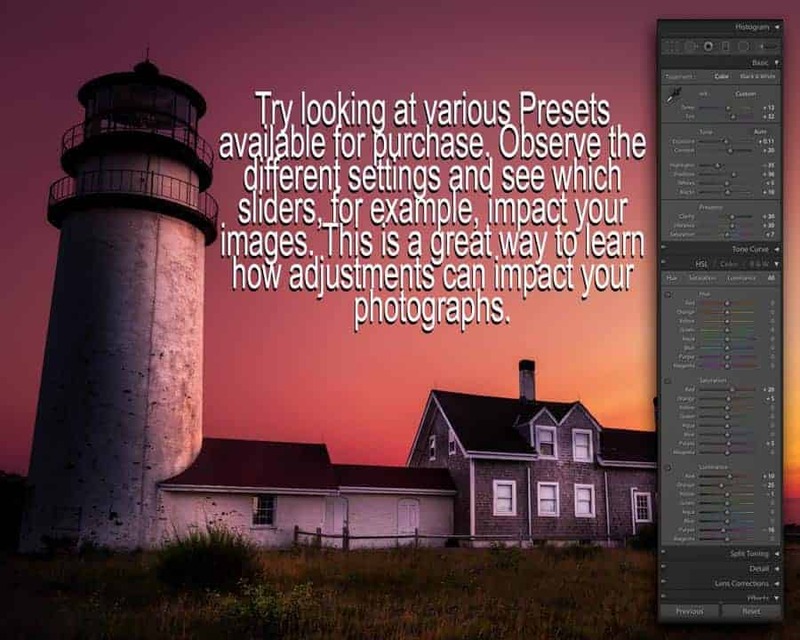 This again brings me to the ImprovePhotographyPlus recommendation because of the great range of topics covered for a price that is basically a steal! A good example here is learning to use Photoshop. There are THOUSANDS of online videos out there but unless you understand the application, you are going to be frustrated following along and just throw your hands up and say “Ah, I don’t get it!” That is bad because it will give you that sense of defeat when it really is just lack of properly educating yourself. YOU CAN DO IT! Just make sure you are learning the fundamentals first and you can learn VERY FAST! Ok! So now that you have found some really great places to learn Photography, make sure you are not just watching or reading about these topics but that you are actually learning! If there is something you do not understand, don’t just pass it by and think “I’ll get back to that!” No! Stop and search for it right then and there. Ask questions online. You need to be very detail oriented and that means absorbing all that you learn. This is especially true when it comes to video tutorials online. Lynda.com, for example, has some outstanding work along tutorials that can really help but if you are just following along with the instructor and not really grasping what it is that they are doing, you are wasting your time. Stop the videos. Rewind. Go over the concept again until you really understand what is being done. There is no better feeling than going from totally having no clue about a certain subject and then learning it and having those “Oh boy! That makes total sense” type moments. It will also motivate you to try these new found skills. A great way to watch post processing video tutorials online and work along with the video is to use a tablet like the iPad. Doing this, you don't need to jump back and forth between applications on the screen but rather just tap the screen on the tablet to pause or whatever you may want to do. I use a large 27 inch display and you may think that is large enough to split the screen but it is much preferred to use an iPad rather than split the screen. It is just a smoother experience if you do have access to a tablet. This is one aspect of photography that is so clear and obvious yet I would have to say it is overlooked by many for a multitude of reasons. Having the time to get out and shoot is one of the biggest excuses people will give. How much time does it take to grab your camera and shoot things in your home? 5 mins? THERE IS TIME! You just need to work it into your routine if you really want to improve your Photographic skills! Try to shoot every day! In the house or out at a beautiful location, there is always something to shoot. Learning the exposure triangle and how it all works together is best learned using your camera. How your camera sees the world and how we see are two vastly different things. Wide angle lenses and telephoto lenses are very much different from each other. Getting used to seeing through them will have you looking at the world and the creative possibilities possible with this equipment over time. 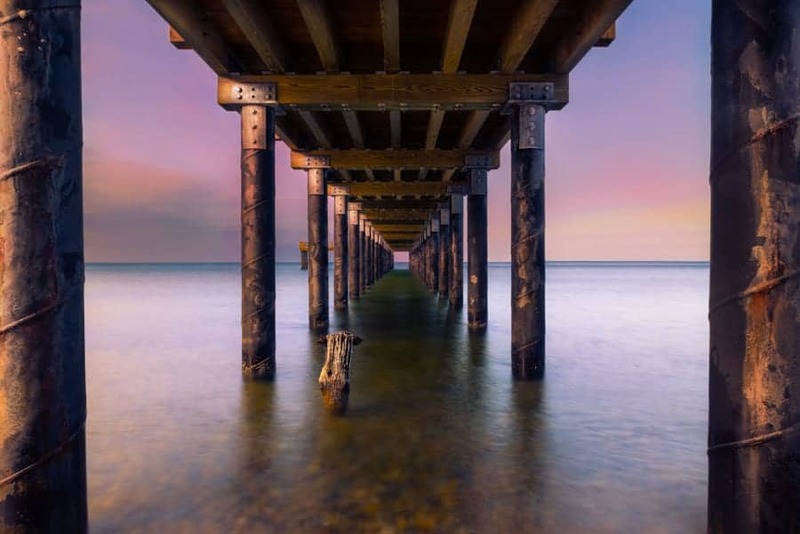 Learning the rules of composition and applying them takes practice and training. Your “eye” is best trained by having the camera pressed up against your face looking through the viewfinder. Today’s modern digital cameras have amazing features built it. Live view is a tremendous way to learn how your settings will impact your digital image since you can see a preview right on the camera without having to even take the shot! Live view also allows you to zoom all the way in digitally on a focus point and then get extremely precise focus with either the Auto Focus or Manual focus if the Auto isn't getting the job done. This is a necessity when shooting stars at night. They just cannot be focused on with autofocus since the stars are so small and the contrast isn't great enough for the camera to pick up the star. Go into a dark room – REALLY DARK! Give yourself different scenarios and see how fast you can change aperture, ISO, shutter speed, exposure compensation, etc. This is one area that many either embrace or shy away from. If you are going to get really good digital images, you are going to have to learn some post processing. You do not have to become a Photoshop GURU in order to make fantastic digital images. Great lighting and composition are the basis of all great photographic images but nothing can enhance and stylize your images like some post processing. Here at Improvephotography it is safe to say a large majority of people use Adobe Lightroom or Photoshop and many times both. Adobe has a Photographers Plan that includes both Lightroom and Photoshop for a mere $9.99 a month. That is the price of a cup of coffee per week for World Class, Professional Photographic software. Simply viewing preset sliders can give you a better idea how adjustments work in Lightroom. Like shooting your images, practicing and getting to know the many tools in Lightroom and Photoshop will take your images from “Nice shot” to “WOW! That is AWESOME!” A great post processor can make so-so images from an entry-level camera look FAR better than someone with no post processing skills using the best equipment on earth. This is an area that many shun because they think they have to be super techy in order to be proficient with the software. While it helps if you are fairly competent with a computer, even a novice can learn to process great images with some time and practice. “You can do this” – tell yourself that and you’ll never be wrong! How fast can you learn to process photos? That depends a lot on your comfort level with computers but more importantly, your desire. I started taking the online video classes available here on Improve Photography at the end of January and purchased my first camera in March. By May, I was producing photos that were getting great ratings online, won two contest and even sold several. I am not saying this to raise my ego! I am simply saying this because if I can do it, so can you or anyone else! It is a matter of time, desire and the willingness to learn. In just 3 months I went from not knowing how to process images to being able to create this image that won an award ($50 gift prize) and sold several prints! It can be done with desire to learn! ImprovePhotography offers a TREMENDOUS Lightroom 101 course available via that link OR by going to ImprovePhotographyPlus.com which has photoshop courses too for a lower price!! It is very important to take time on your own, without instruction, and play! You have to nudge and prod all the different tools and after learning a little bit about them, test them out. There are tons of little numbers and setting all over the place in Photoshop. They all mean something (OBVIOUSLY) but many people don't take the time to truly learn what they all mean. Don't be that person. Dive in an have the attitude “If they can do it, so can I!” – AND you will! Here is a big one. Most people say “If only I had a better camera!” Nonsense! Even the most basic and entry level camera today with some kit lenses can capture beautiful images. Very few people actually read the entire manual to learn their particular camera and all of it’s powerful features. There are benefits to better equipment. Better low light performance. Better Auto Focus systems. Sensors are better in higher end cameras but you know what? 98% of that does not matter and certainly not if you're just getting started in this new found wonderful world of digital photography. With good lenses, proper technique and good light, you will be hard pressed to see the difference in most images you see online from entry level cameras vs models that cost many times more. Even when printing large, the digital sensors today are recording such an amazing amount of image data that as long as your camera has a good amount of light, you'll be fine with ANY model. An entry level DSLR (Such as this Nikon D3200) has features and specs that just 6-7 years ago would have seemed amazing. You can create amazing images with what you have. Google your particular camera and you will get a whole world of informtaion on it. There are actually many books made just for many popular cameras out there that offer even more information than just the manual. The manuals, while very thorough in listing all the features, don’t give you much in the way of creative use. Look around for tips and tricks for your model. YouTube is an excellent place for this. When you are out shooting, the last thing you want to do is fumble around with the buttons and dials on your camera. Get to know it – INSIDE & OUT – and your photos will get better because you're taking more of them without the menus and buttons slowing you down. Once you have a good understanding and feel for the tool in your hand, the better you will use it! Ah – GAS! But not that type! 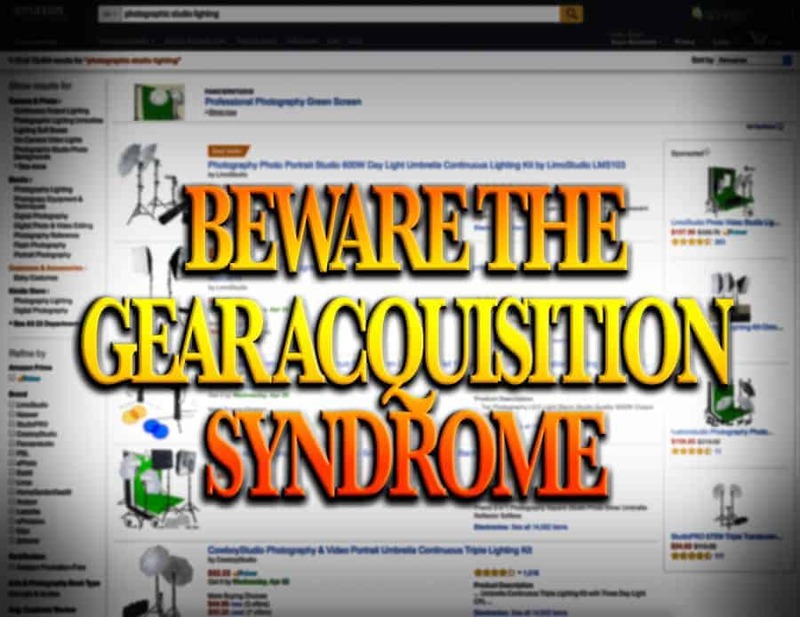 We are talking about the excessive need to buy gear as you dive deep into your digital photographic craze! 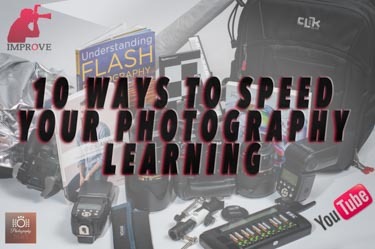 It is a very addictive hobby for many and getting caught up in purchasing or renting the next thing can slow your learning down because you’re playing around with too many different gizmos and gadgets without putting the proper time and resource into shooting. Instead of getting that lens that you aren’t even sure you need next, put some of that money toward a trip. Memories are more valued than anything you can purchase and taking great photos of them will have you not only learning by shooting some more but it will have you recording your trip with beautiful images as the result. Don't spend too much time worrying about the little gizmos and gadgets you don't have. Just get out and shoot to speed your learning! Again, do not underestimate the value of good instruction. There are many valuable video tutorials, books, courses available that are of super value in what they teach you versus what they cost. Try putting some money toward them instead of that lighting modifier you really don’t need or aren’t even sure how to use! ImprovePhotography has an incredible resource to find good quality equipment without having to take out a home equity loan. Try checking HERE for some FANTASTIC recommendations on tons of gear that will keep your appetite for more photographic goodies in check. An example here is the Yongnuo lighting systems. For $69 you can get speed lights that rival name brand Nikon and Canon flashes in 95% of the categories for about 1/6th the cost, if not less! Make sure to check that link out if you haven't yet already. Got a friend who just had a baby? Children’s birthday party? Family reunion? Everyone wants a photographer and now they have you! Don’t be afraid to offer your newly found skills as a photographer. You will be learning while offering some great photos. Another great opportunity here is to offer your photo services to coworkers. Many people think that in order to get professionally done portraits for their kids they need to drag them off to the traditional places such as the mall or large department stores with assembly line photography. NON SENSE! With even just one light and properly set up compositon, you can make beautiful images. There are local animal shelters that can always use some good photographs. Try reaching out to them. This will enable you to become comfortable in dealing with people in a photography project kinda way. 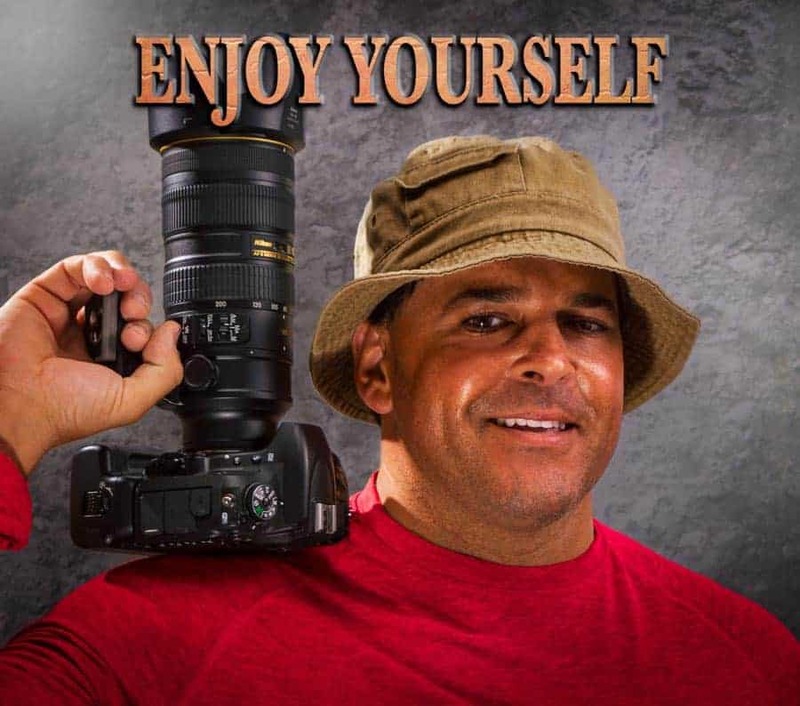 Many hobbyist photographers do side jobs to bring in a little extra income for some new photo equipment or maybe even a trip. Maybe that could be you. Give it a shot! As with just about any subject in life, the more you are around it, the more quickly you will learn. If you want to really propel your photographic education you must become immersed in everything photography whenever you can. Morning drive to work? Throw on a podcast. There are so many little tips that I personally have heard on the many podcast I listen to that have really made a great difference at times. An example would be one day I heard ImprovePhotography’s Jeff Harmon speaking about using the grid in live view when doing a panoramic shot. Such a help! Getting a really well done photograph is many little things all coming together at once. The more “little things” you know, the more confident you will be when shooting and the better your images will be. Read magazines on photography. Set aside a little time each day specifically for your photography education. This will be different for each individual of course depending on your lifestyle and family, career, and personal resposibiliites. Be consistent. Try to do a little bit each day rather than a lot once in a while. It just doesn’t work as well that way. Many of the aspects in photography work in conjunction with others so when you’re learning a little bit about one subject, there will be times when something else you may have just learned will now make more sense and just pop in your head. The more that you are on top of things and stick with it, the more of these moments you will have. When first learning, you will have a TON of breakthrough moments or what many call the “Ah ha!” moments! They are great moments indeed. Just live, eat, breath and dream about this stuff! You will get better very quickly!! The most important aspect in photography has nothing to do with settings. It has ZERO to do with technology. It has absolutely nothing to do with post processing. You have to ENJOY IT! If you have trouble sleeping thinking of that next shoot or getting up to catch that sunrise, you have found your passion! Always enjoy yourself but also be mindful that not everyone in your life will share your love of photography and that is understandable. Keep your loved ones in focus without the camera. Balance is a key to life and it is one we all struggle with. SMILE! Photography is meant to be fun and enjoyable. Just remember to be smart with how you use your time.